We have a gas pipeline running through the north part of our property. 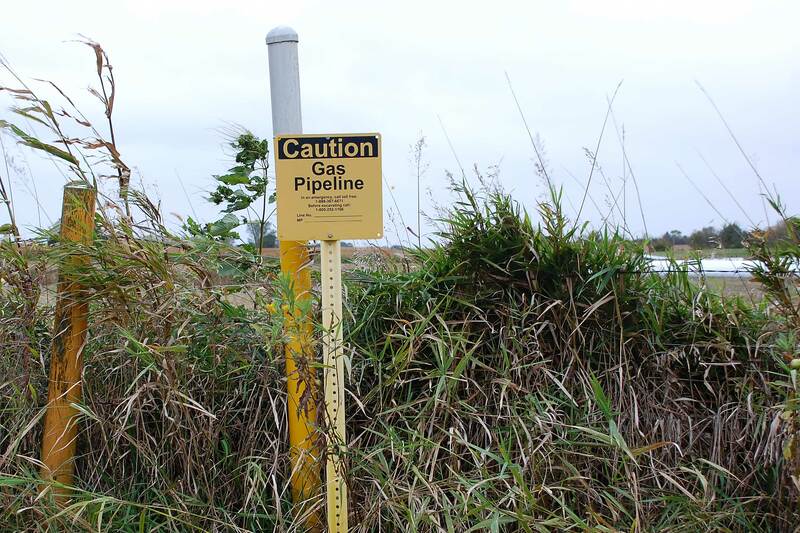 The gas company has a 40 foot wide utility easement along the pipeline. We were completely aware of this fact when we purchased the property ten years ago. when someone drove in to our yard in a white truck with a gas company logo on the side. Jesse had just arrived home from work and went over to talk to him. The man from the gas company explained that they had recently purchased the gas pipeline from another huge gas company. The previous company had done nothing to keep up the pipeline since the mid 1960’s. The new gas company planned on doing things differently. They informed us that they would be coming through the area in the next few weeks to begin clearing the area of their easement. Rather than taking down our neighbor’s cattle fence to get to the easement area on our property, we agreed to allow them access through our property. We really have no say in the matter, so it was best to make it easier for everyone. They showed up this week to do their clearing. 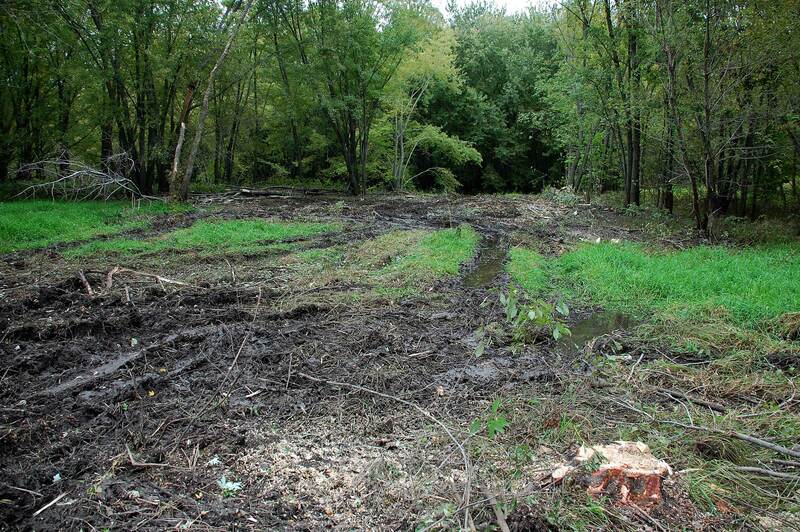 The only area that needed attention was section running through the backwater area of the river. So, after forty-some years of undisturbed growth, they drove their equipment down to the river and cut this swath through the grassy swamp area, cutting down brush and trees all the way to the river’s edge. 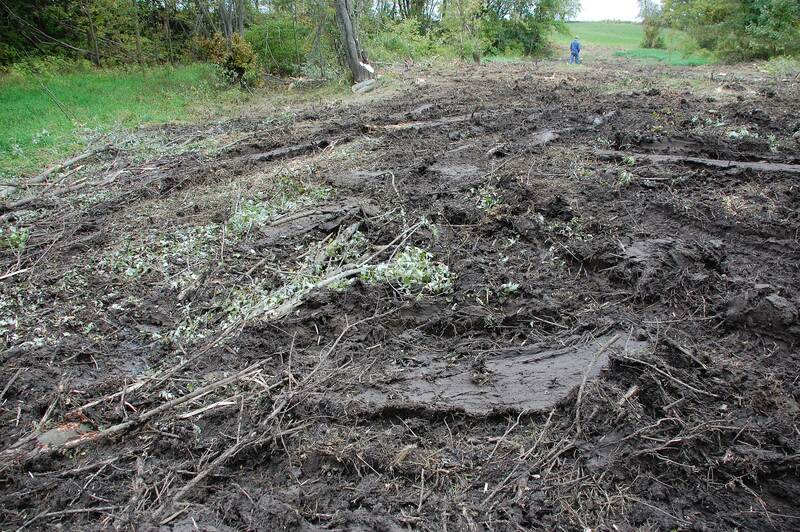 It has been a wet fall here in Minnesota, so they made a muddy mess with their equipment. They cut down the trees with chain saws and mowed the brush down with special equipment. 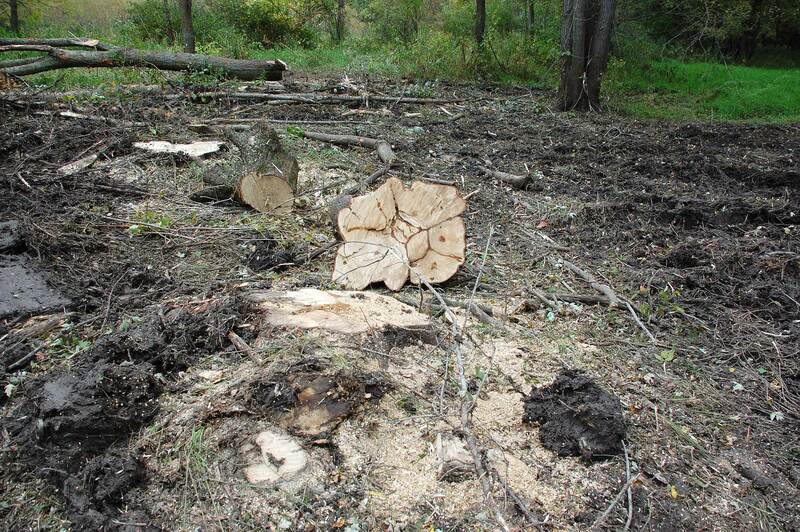 While they pushed most of the trees to the side of the easement area, they left some stumps and debris behind. What a mess. I think it looks horrible and the environmental disturbance frustrates me. The river bottom is home to so much wildlife, whose habitat has been seriously disrupted. We always knew about this easement, however, and it is probably better for the environment overall if gas pipelines are actually maintained and monitored by the gas companies that own them. 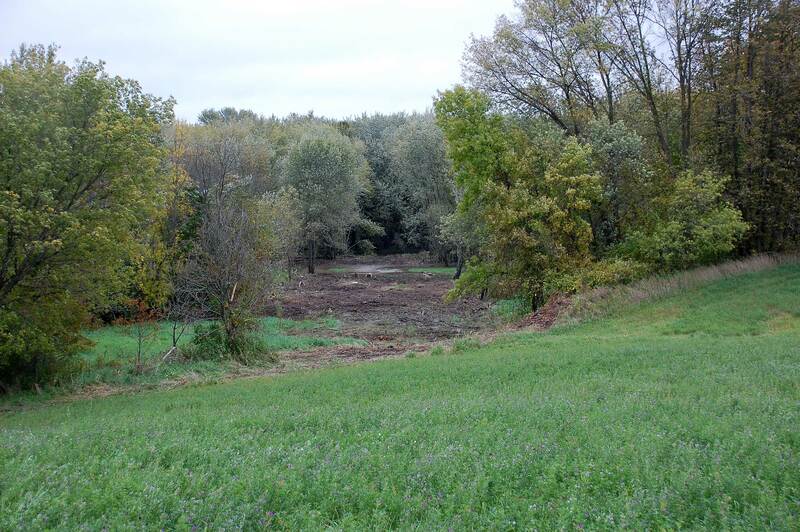 The grass will regrow, the ruts will fill in as the flood waters rise and fall, and the wildlife will resume their activity in the river bottom. It will all just take time. I think that would make me cry… Like you said, it has to be done and it’s probably better for all… but I’m sure it was heart breaking to witness.